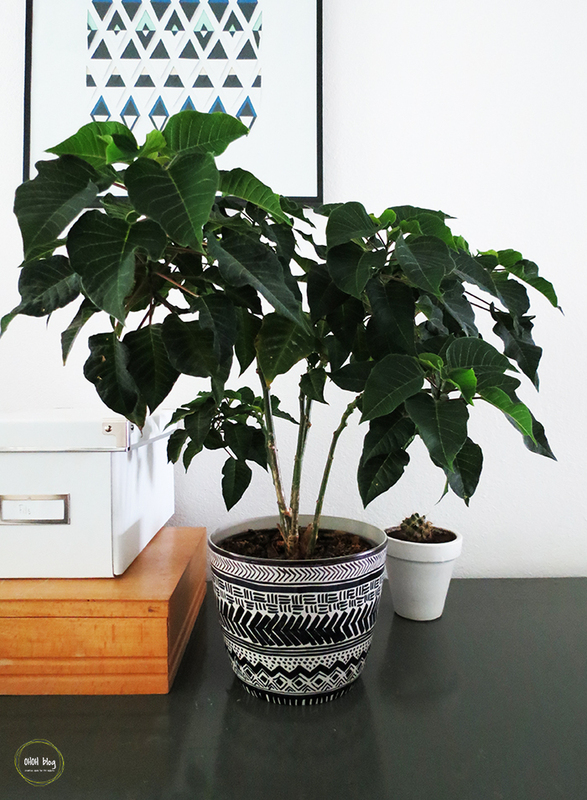 I’m pretty sure you already saw some mud cloth print on decoration lately. It’s a traditional African dyed fabric technique, who is composed of multiples geometrical shapes and symbols. Even if this dying technique is several centuries old, it still inspire the creation of pattern nowadays. I get those white plastic planters at Home Depot, for 2$. They are functional but not very interesting. 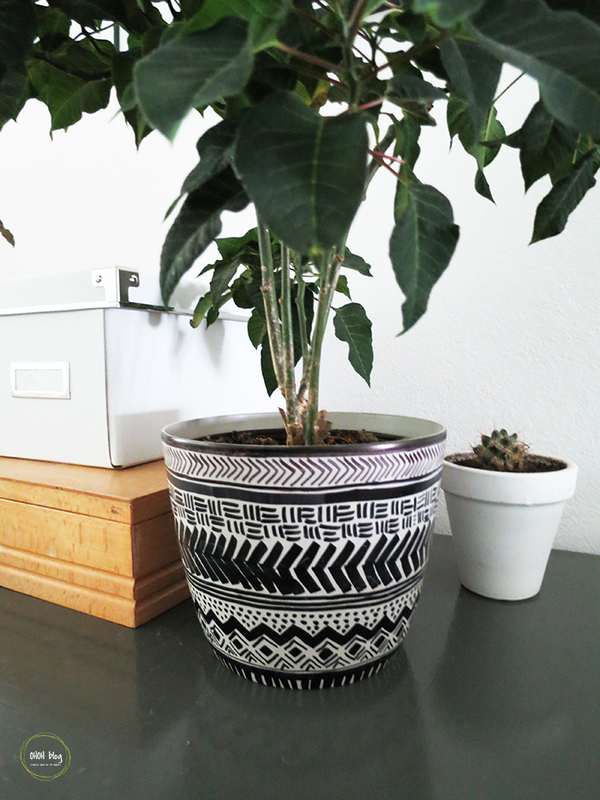 So using a sharpie I draw some mud cloth inspired shapes. Quite simple, right? 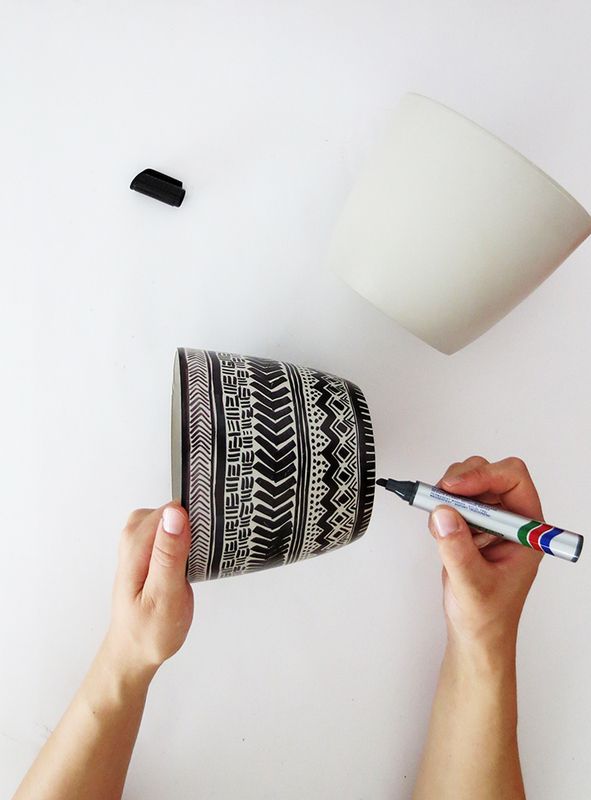 Your design will look more interesting if you use several thickness of black sharpie. 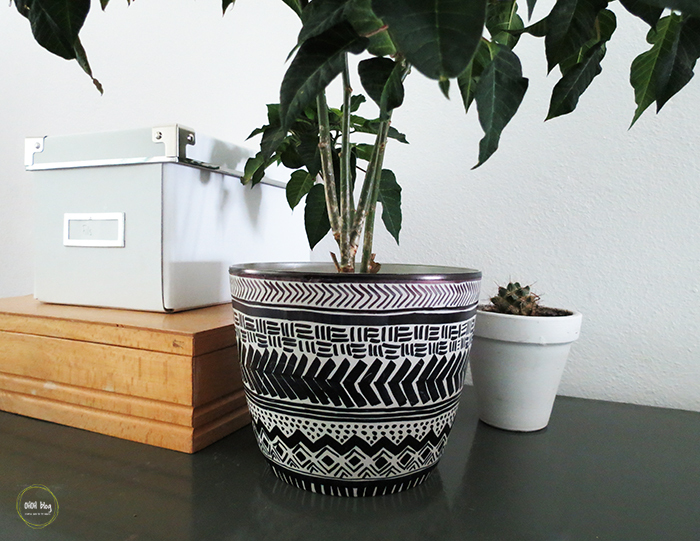 Repeat the same pattern all around the planter to create a row. 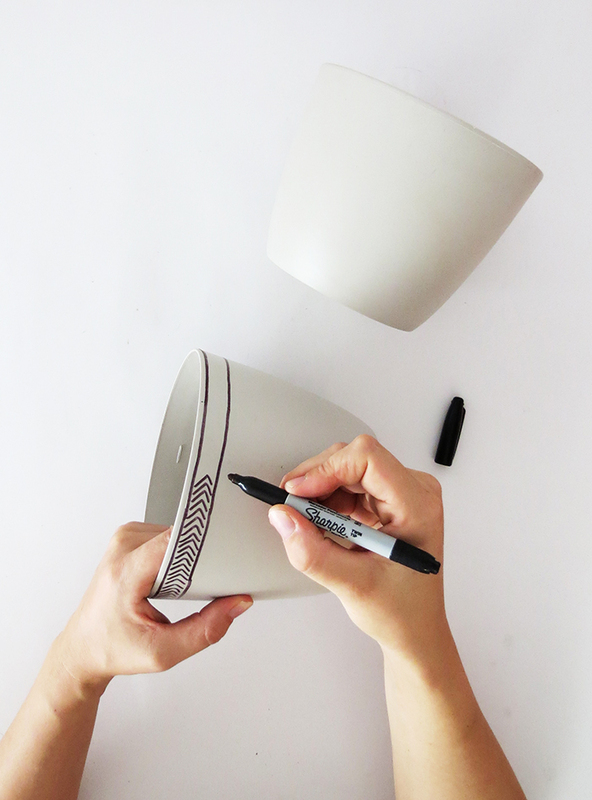 Help yourself placing some tape around the planter to keep your drawing straight. Once you finished the row move the tape lower. 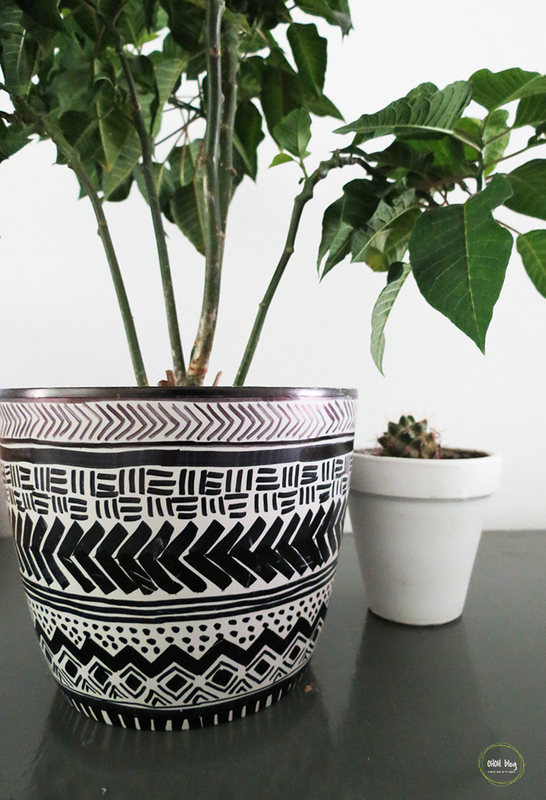 Look on pinterest or google to find some traditional mud cloth symbols to get inspired by. It takes a little time to make all the drawings, but it’s really easy to achieve and for me it was quite relaxing … like coloring mandalas. I hope you will enjoy it! 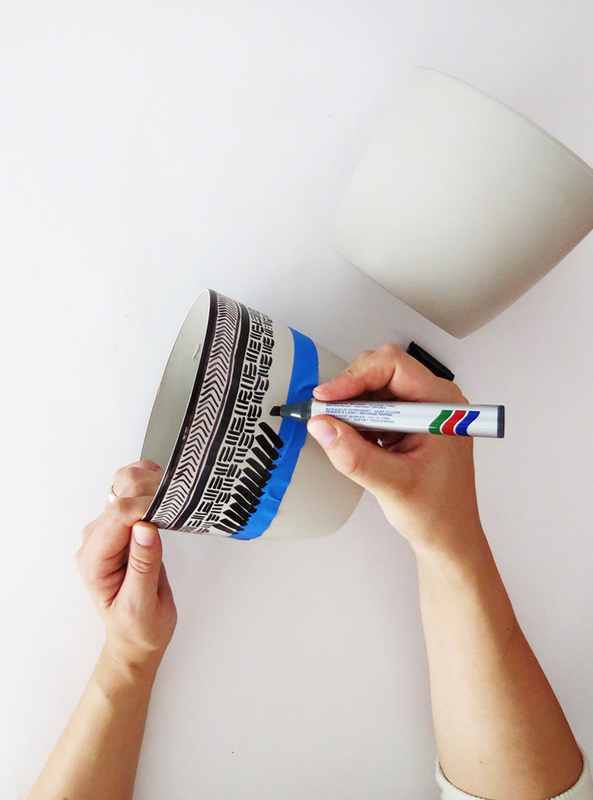 The geometric wall art is also a DIY, if you like it you can find the tutorial HERE.